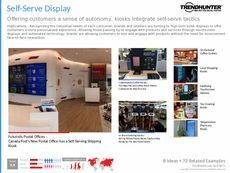 Find Better Ideas, Faster ® with a custom in-store display trend report, our PRO Dashboard and 80+ categories of premium trend reports. 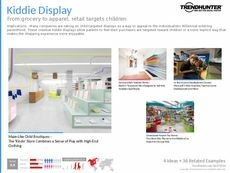 The In-Store Display Trend Report collects data on merchandise display cases, stands and windows that attract consumers to enter a store, stay and purchase products. 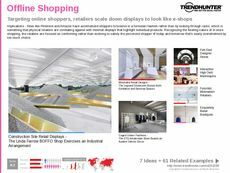 It analyzes various shopper demographics and pairs the most effective visual displays with each type, ranging from simplified to over-the-top. 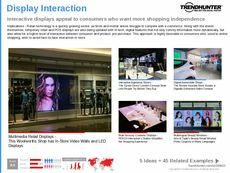 The report provides examples of creative and effective visual merchandising like tech-integrated interactive displays that use video or apps or a self-serve design. 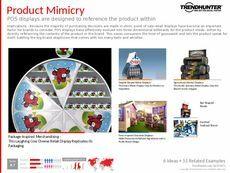 Specifically geared towards experts in the retail industry, this report is ideal for merchandisers, packaging designers and store owners across a wide variety of industries from food and beverage to apparel. 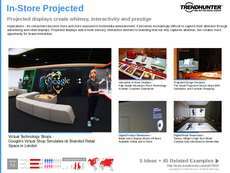 This report is key for keeping ahead of competitors when it comes to branding and visual displays. 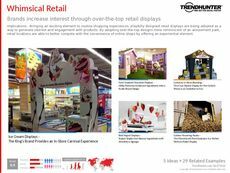 The In-Store Display Trend Report compiles insightful information on visual merchandising for retail brick and mortar stores to effectively attract consumers and market specific products.